West Africa in general and the Gulf of Guinea in particular have long been an area of concern for the shipping industry. Reports about specific attacks, however, should be analysed in a broader context, not just with a narrow focus on piracy as a threat across the region. One recent article is a good example. 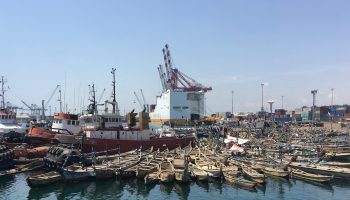 Starting with a catchy headline (‘Petro-piracy a growing risk off West Africa’), the article summarises a presentation given at a conference for operators of chemical and product tankers. Considering the audience, a buzzword such as ‘petro-piracy’ makes sense. However, a term without a clear definition is never a good start for thorough analysis. More importantly, it is based on the assumption that several attacks against product tankers which were reported off Benin, Gabon and Congo throughout 2018 were all straightforward pirate attacks with the aim to steal cargo. Such attacks have taken place in the past, aimed at stealing petroleum products that can easily be sold on the black market, particularly in Nigeria. The significant decrease of these high-profile attacks after 2014 has often been explained with a decreasing oil price. Considering that the price of crude oil does not directly correspond with regulated prices of fuel and other refined products in Nigeria and other West African, this interpretation never made sense. Better law enforcement and increasing responsiveness by regional navies, led by Nigeria, offer a much better explanation. The threat of attacks against product tankers therefore never went away. While the number of such incidents was significant in 2018, this may simply be a statistical outlier which would have been less remarkable if one or two incidents reported in early 2018 had taken place several weeks earlier. After all, the sample size is extremely small. Furthermore, there are question marks around most of the incidents in 2018. 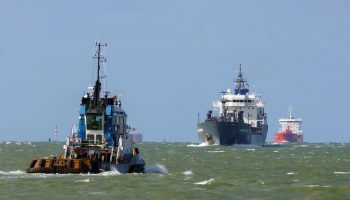 Investigations by domestic law enforcement agencies were often hampered by a lack of transparency from ship operators, charterers and other parties. Nevertheless, these investigations have shown that links to other criminal activities – such as fuel smuggling or illegal fishing – are at least possible. When your only tool is a hammer, every problem will look like a nail. Concentrating merely on piracy while ignoring other maritime security issues that are prevalent throughout West Africa does not lead to an accurate reflection of the threat level for specific areas, ship types or attack patterns. That was further underlined by another incident that made headlines in February 2019. ‘Private militia seize Singapore-flagged ship near Cameroon’ suggests that the ship was attacked. In reality, however, the ship was due to unload crude oil at the SONARA refinery in Limbe. 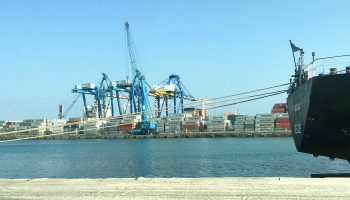 When a commercial dispute between the charterer and the importer could not be resolved, a court ordered the ship to remain in port. The tanker was then boarded by the Cameroonian military personnel, enforcing the decision of the court. Unfortunately, the ship operator – and the seafarers on the vessel – were caught in the middle, leading to a press statement that was never questioned even by media outlets specialising in the shipping industry. There is no doubt that maritime security in the Gulf of Guinea is limited. Attacks against merchant ships are far too frequent. Lazy analysis that disregards issues beyond piracy, however, creates an overly dramatic picture that fails to reflect actual threat levels. Journalists specialising in maritime topics could also try harder to paint an accurate picture of the situation. More background on the topic can also be found in a whitepaper that I have written for Risk Intelligence. It is available as a free download on the Risk Intelligence website. 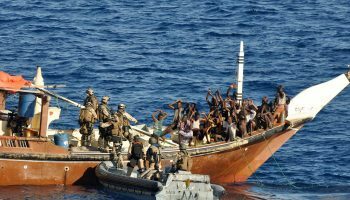 Piracy off Somalia – an exaggerated problem?